I was thinking: supposedly the modern deck of playing cards is a descendant of the Tarot, so what if I reverse engineered a(nother) Noo Tarot based on the poker deck? I started with the Ace of Hearts, but next up is the Three. 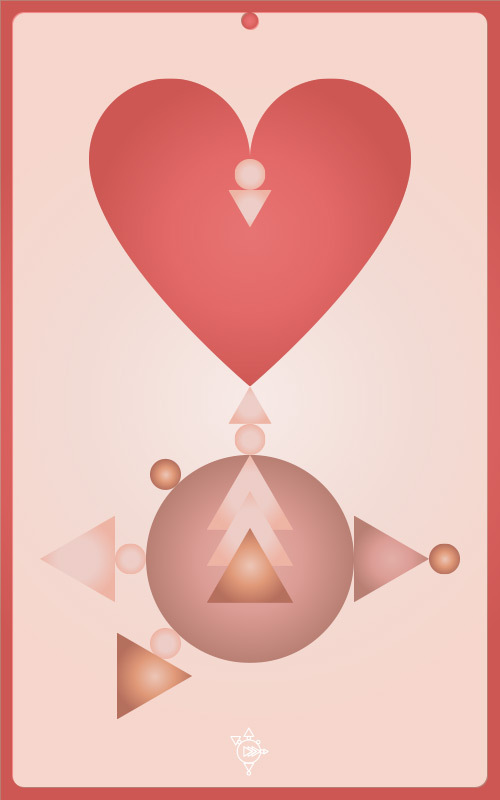 In the Tarot, it's three swords through a single heart. In my imagination, it's three hearts impaled on a sword. The gore potential is Freddy and Jason worthy, don't you think?